Ms. Higgins and Mr. Matteson are 5th/6th grade teachers at North Elementary in Indiana. “I love trying to bring real life lessons and experiences to my students. Helping students feel empathy for others and respond with generosity is a trait that is great for all students to experience,” said Ms. Higgins. 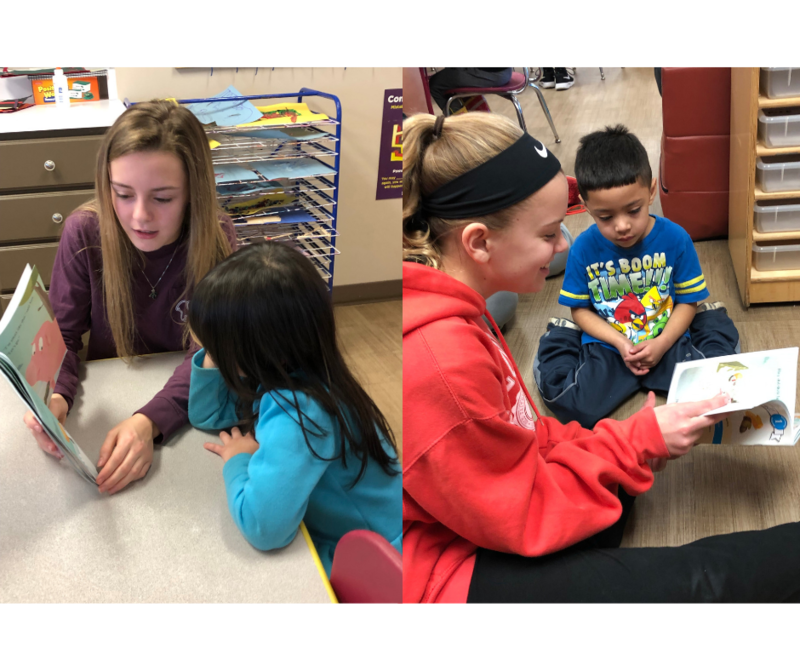 After using the lessons in the unit, Helping Children Learn, just over sixty 6th grade students participated in the mini-grant supported service-learning project called Reading Connections for All. The Learning to Give lessons helped to introduce the project and motivate the students to participate. The 6th grade students spent time picking out the books based on what would be appropriate content and within their buying budget, after that, they took the time to individual wrap each of the books. Each student then picked a younger student to read to. They introduced themselves and the book, then they read the book out loud, and played with their new friend. “My little one knew some words and helped me read. I loved that we could do that together," one of Higgins’ students said. The 6th graders were able to show the younger students their love for reading. Math was also involved by including math lessons during the wrapping of the books for the students. A student said, “My little one was a little nervous when opening her gift. Once she saw it was a book and I said I was going to read it, she relaxed. She got so excited when I was reading and gave me her full attention. I haven't read a book to a younger student in a long time and it was very refreshing." Ms. Higgins plans on having her students go back and read to their new friends in the Spring. Students were able to look beyond themselves and help other students while sharing and practicing the important skill of reading.